Flag Football at Mount Michael's Fall Festival! For the first time, Mount Michael is proud to partner with Special Olympics to host the Mount Michael Benedictine Flag Football Invitational. Teams from all over Nebraska will compete in this tournament with the opening ceremonies taking place on our own Fall Festival Midway at 11:00 a.m. on Sunday, September 15th. Fall Festival attendees are encouraged to visit the football fields on Mount Michael Benedictine’s campus to help cheer on the athletes and their families. 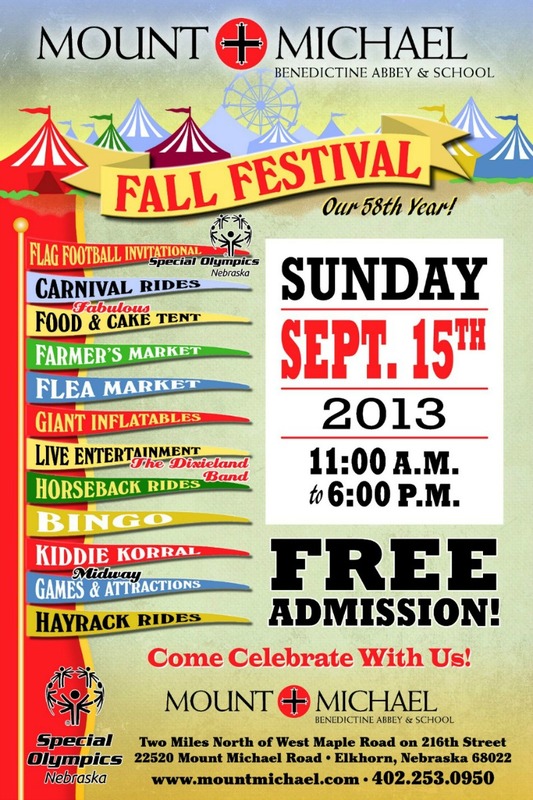 In addition to Flag Football, attendees can enjoy a farmer's market, bounce houses and games!